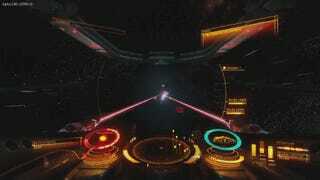 I totally forgot the Elite: Dangerous Premium Beta was released today! Its 9:30pm here now...maybe an hour for dowload and install... I dont need to sleep tonite, right? Right? Sidenote: They really haven't shouted this out either... I only just got reminded by the standard newsletter that goes out. Nothing dedicated to my inbox saying I could download the installer here. I dont mind so much but its a little weird. I still get birthday emails from random forums I have posted in for nearly a decade and these guys didn't wanna send me a reminder? That's cool but...weird.